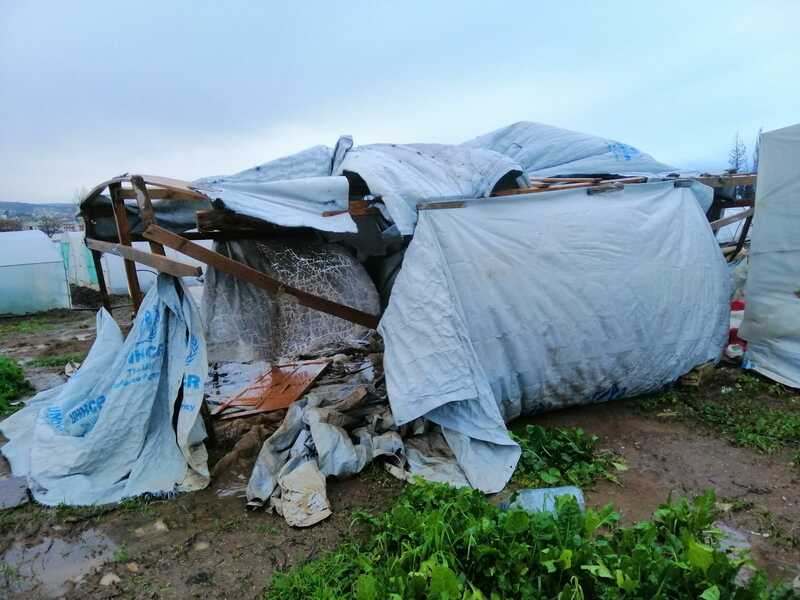 In the space of just two weeks, storms “Norma” and “Miriam” have brought torrential rain, freezing winds, and snow to Lebanon, leaving Syrian refugee settlements under flood water. Concern has been providing vital support to vulnerable families. 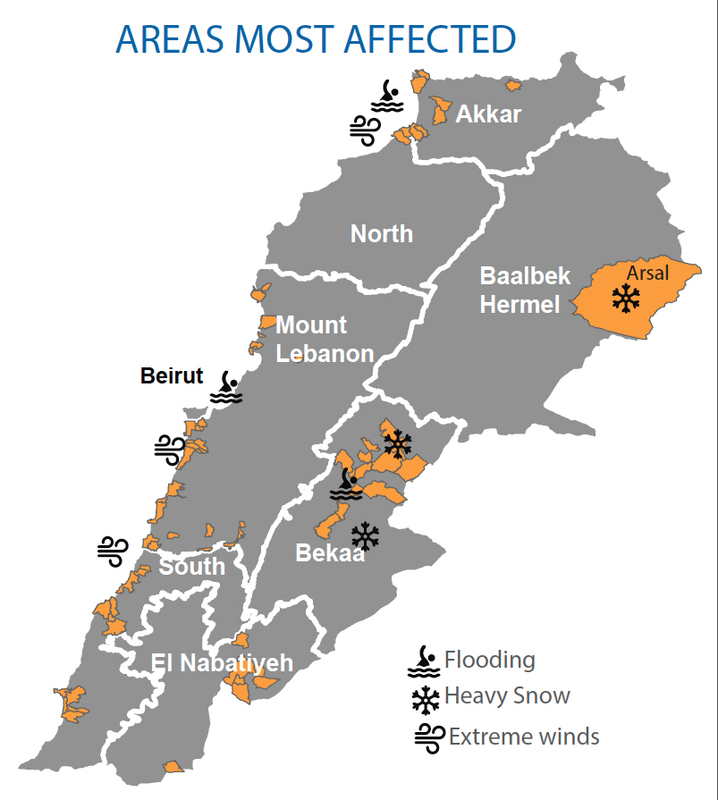 Lebanon is currently experiencing its harshest winter in years. 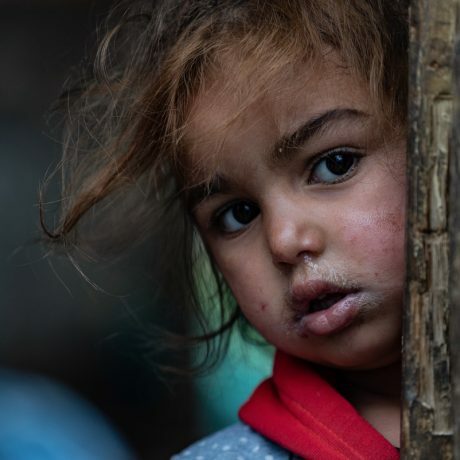 It comes at a time when many refugees are falling deeper into debt and have been forced to move from houses and apartments into sub-standard housing such as garages, dilapidated buildings and tents. According to a recent UN report, 34% of Syrian refugees are now living in non-residential and non-permanent structures, up from 26% in 2017. These homes are in no condition to withstand harsh winter conditions and families have been left devastated by the onslaught of two successive storms. Many homes have been badly hit by flooding. Concern has been working hard to help repair damage and provide emergency supplies to affected households. Following the wreckage of storm “Norma,” which hit Lebanon on 6 January, Syrian refugee families were frantically trying to repair their damaged homes and clear them of freezing flood waters before the arrival of the second storm. 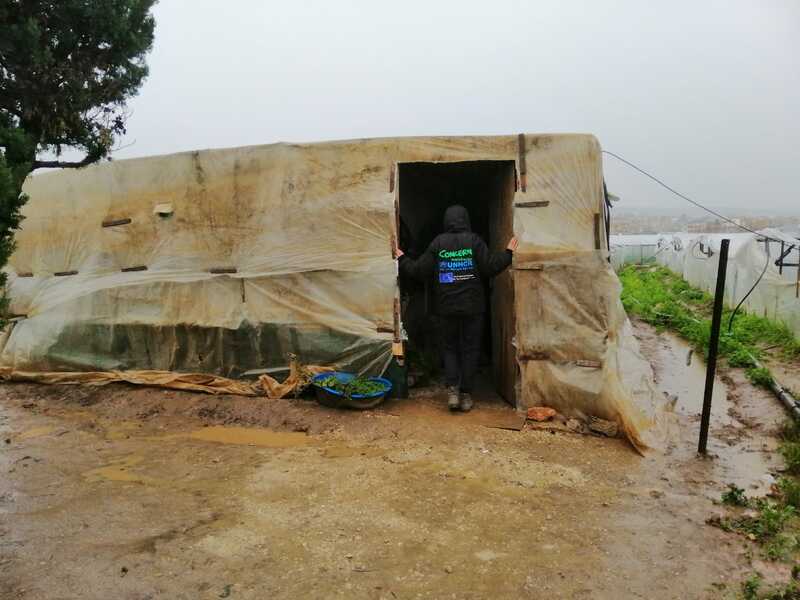 Our teams got to work distributing shelter repair materials, hygiene kits and blankets as well as undertaking emergency de-sludging of septic tanks. They supplied pipe materials to help drain freezing flood waters from family homes and have repaired damage to vital infrastructure such as water supply pipes and latrines. Prepositioned stocks were put in place before the arrival of storm “Miriam” to help ensure a fast and effective response to the second onslaught. As families hoped for the best, our team was prepared for the worst. In total we have supported over 2,000 Syrians across 47 settlements so far and will continue to respond to families’ urgent needs.